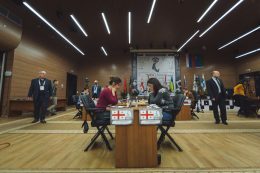 The first round of the final leg of the Women’s Grand Prix 2015/16 tournament in Khanty-Mansiysk is played today. 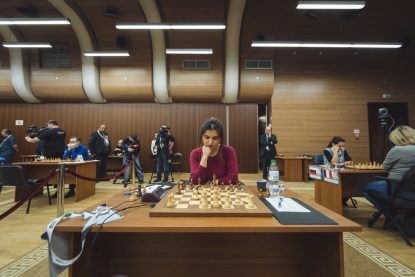 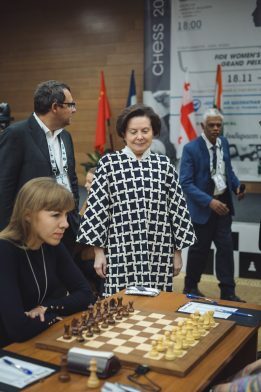 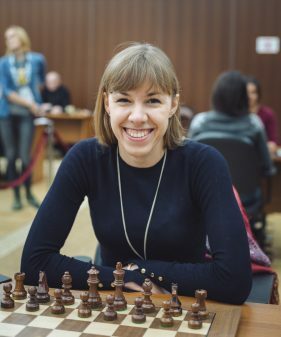 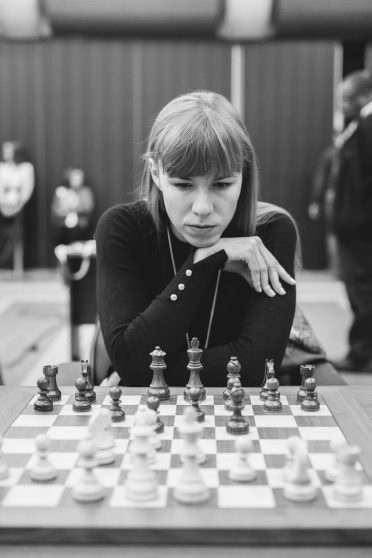 The symbolic first moves in the game between Russian players Natalia Pogonina and Olga Girya were made by the CEO of FIDE Geoffrey Borg and the governor of Ugra Natalia Komarova. Geoffrey Borg has started the game with White by classical 1.e4, while the governor of the region made the first move of Black 1…e5. 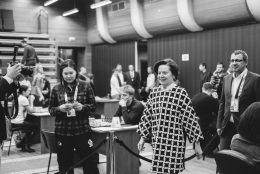 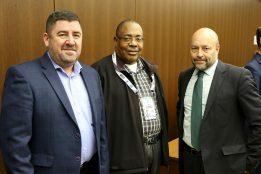 Upon the end of the first move ceremony the governor accompanied by the Director of FIDE Moscow Office Berik Balgabaev and the President of Ugra Chess Federation Vasily Filipenko went to the spectators’ area of the playing hall to watch the games of the first Round of the tournament. 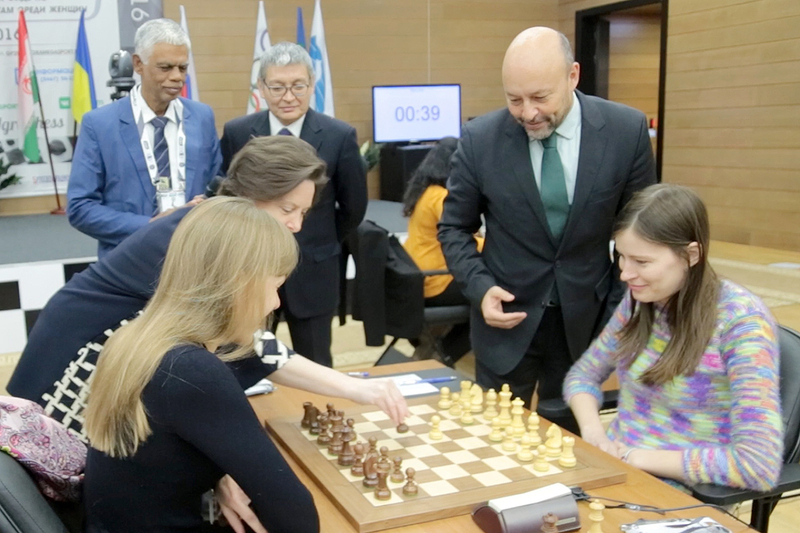 Besides, the head of the region has greeted the FIDE officials, the organizers of the tournaments and the team of arbiters, wishing all of them successful and smooth competitions. 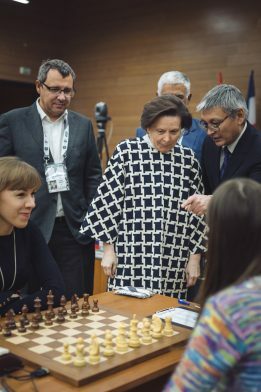 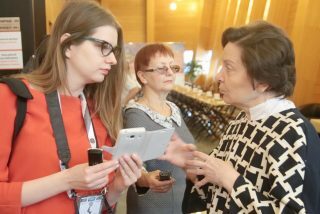 Talking about the numerous international chess events that took place in Ugra recently and are planned to be organized here the governor has noted that each of them make the strong bonds between Ugra and FIDE even stronger. 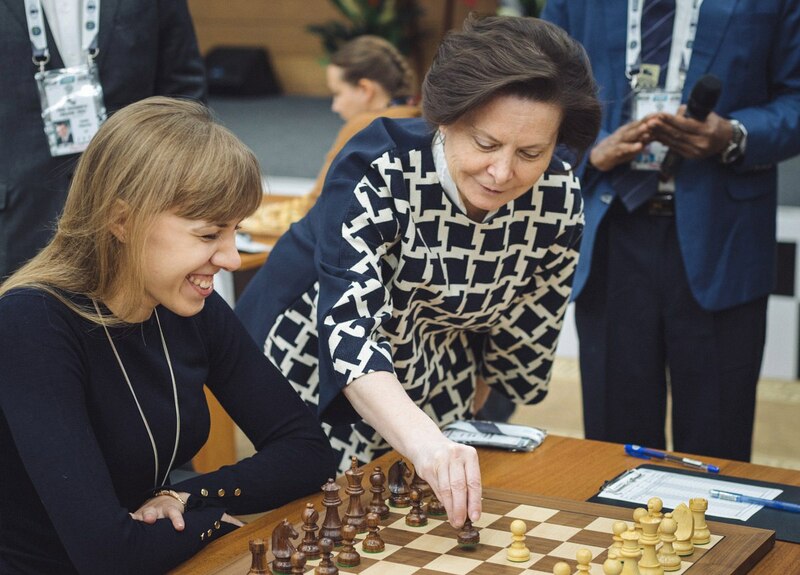 “Purposefully and systematically we are working on making Ugra to be considered as the capital of the chess world. 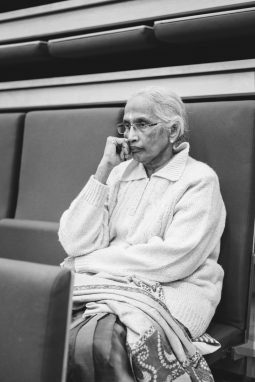 We are doing our best to establish fidelity supported on the subconscious level. 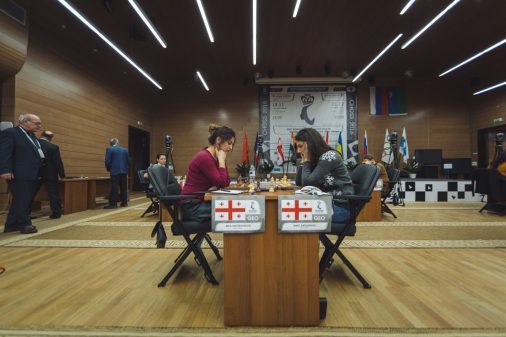 And hopefully every new tournament will place us a bit more close to our aim», – said the head of the region. 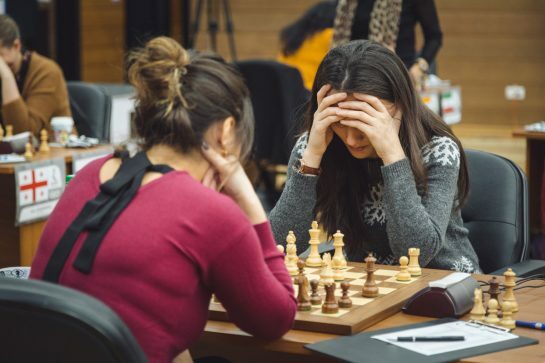 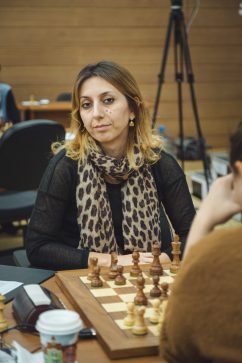 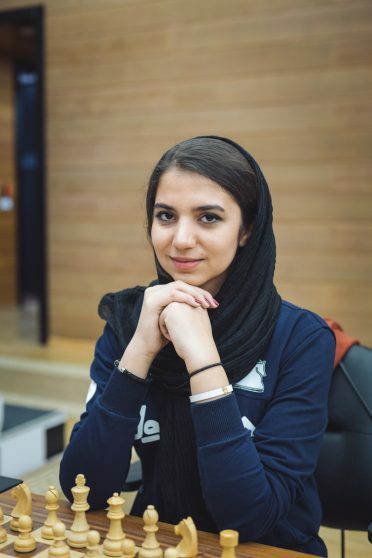 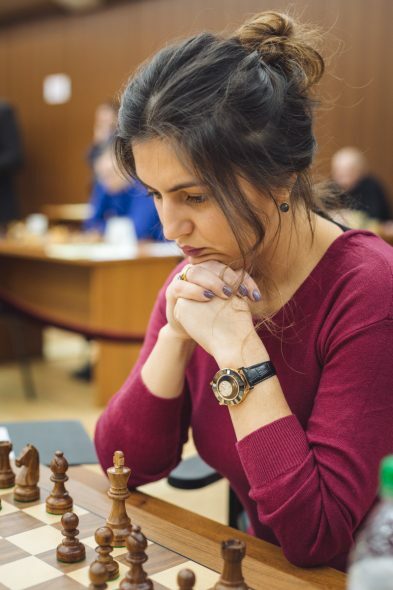 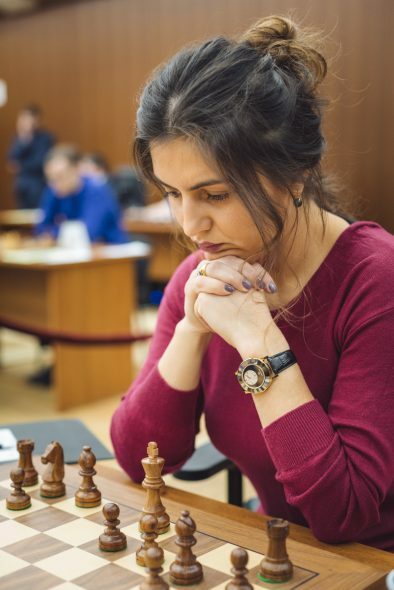 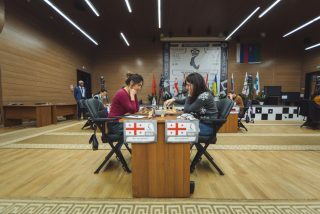 The pairs of the first Round of the tournament are Valentina Gunina (Russia) and Lela Javakhishvili (Georgia), Almira Skripchenko (France) and Alexandra Kosteniuk (Russia), Sarasadat Khademalsharieh (Iran) and Harika Dronavalli (India), Nino Batsiashvili (Georgia) and Bela Khotenashvili (Georgia), Natalia Pogonina (Russia) and Olga Girya (Russia), Natalia Zhukova (Ukraine) and Ju Wenjun (China). 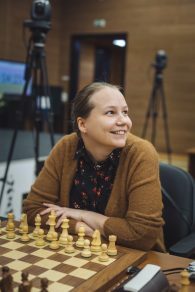 The players will compete in a round-robin tournament of 11 rounds. 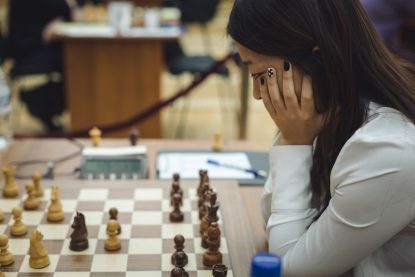 Time control: for each player 90 minutes for the first 40 moves, followed by 30 minutes for the rest of the game with an increment of 30 seconds per move from move one. 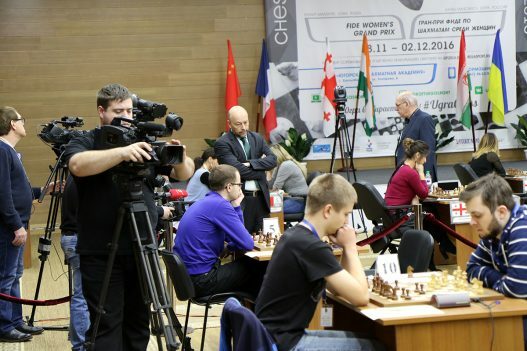 A live streaming of all Rounds of the tournament is available online. 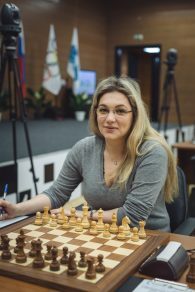 English commentary is provided by grandmaster Evgeny Miroshnichenko.